Imagine you're hanging out on a mountain in the desert with God. You've had a pretty good record of God rescuing you and chatting with you and encouraging you to just do what He tells you and you'll get to see things go pretty well - of course they might look like they're going badly at first, but there's always a surprise ending - sea's split, rocks spring water, every morning there's fresh food delivered out of nowhere, etc... Of course you're human, and you're hanging out with a bunch of humans, so repeatedly you forget about what God says, make your own decisions, go the opposite way, and so on... For some reason it seems like this God you're hanging out with is full of second chances, as if his plans are bigger than your failures, as if his mercy is greater than your weakness, as if his love is greater than your iniquity. No wonder Moses liked hanging out with God. Picture this: God writes down on some rocks how you are to live in order to be acceptable to him based on your own merit, and before you even get down the hill to tell your buddies about it, they've already started asking a statue what they should do. I'd be pretty upset, as Moses was. I'd probably yell and tip the cow and throw things. I don't know if I throw the rocks God just hand written for me though. I bet Moses was like 'oh snap, that was a bad move'. People get upset when they see bible on the floor that was printed in a factory on a machine. God carved these words with his own finger. Anyway, like I said, Moses had been hanging out with God enough at this point to know he was pretty merciful, and there always seems to be a contingency plan, so he gets up the courage to go back up the hill and asked God to forgive him and his stupid friends. God being God, says, 'listen you guys are stubborn and stupid, but keep going, I have a something pretty sweet in store.' After all the foolish things they did, God never moved from his bigger plan. He kept hanging out with Moses, speaking to him "face to face, as a man speaks to his friend." (Exd. 33:11) In spite of all the screw ups along the way, God continued to allow Moses and his buddies to experience His presence. People who had broken the Law - literally, he smashed it on the ground - were somehow still permitted to experience God's presence and speak to him as a friend. Moses is bold enough after all these things, all these people had "sinned a great sin", to ask God to show him His Glory, to keep going with them, to keep revealing his presence. Man, Moses has guts, but even more God has Grace. What a picture of the Gospel. I've often heard Old Testament characters like Moses taught as pictures of Jesus, and there's probably something to that, but Moses is really a picture of us, just maybe not in the way you've thought or been taught. Usually Moses is made out to be some kind of hero, some kind of super spiritual leader and if we can somehow attain the faith he had and do the work he did, we can be bible heroes too. He's just person like you and me, who without the Grace and Mercy of God couldn't do anything. 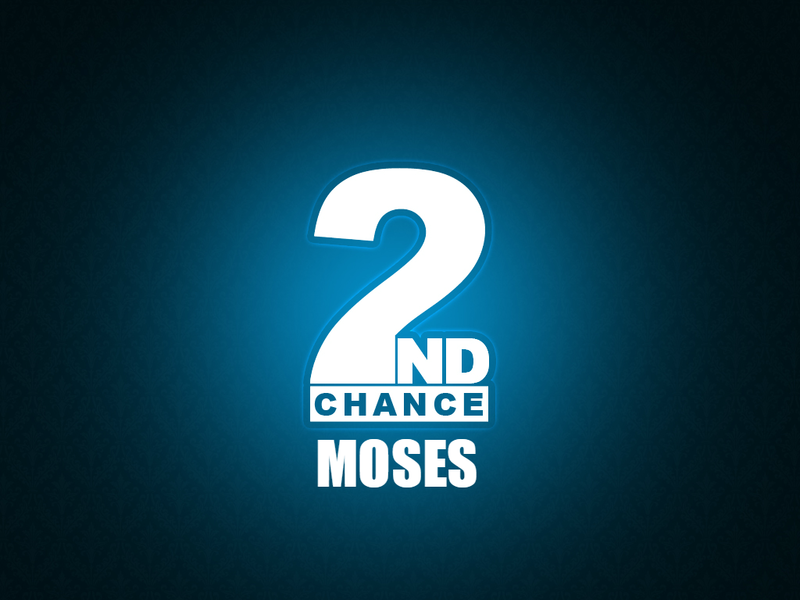 Check the stories again, Moses didn't do anything except respond to what God told him to do, it was all God. Anything good that ever happened was because God said it would happen and then made it happen. Moses was just along for the ride. The funny part is Moses knew it and made it clear, "If your presence will not go with me, do not bring us up from here." Without his presence they were toast, he was toast. The broken tablets are the proof. They had God's presence, God and Moses moved of just a little bit in the distance (still within earshot of the thunder on top of the hill) and they immediately turned away. They couldn't even wait long enough to get the law, let along manage to keep it if they had it. God's law was meant to show them their own brokenness, not to rescue them from sin. That's why God didn't just zap Moses and the rest of them with a lightning bold when they broke the tablets. Listen to the Gospel in how God treated them. Even though they were broken hopeless failures on their own, God promised "my presence will go with you, and I will give your rest" (33:14). Even though Moses had broken the Law and failed on many occasions, He said, "Behold, there is a place by me where you shall stand on the rock, and while my glory passes by I will put you in a cleft of the rock, and I will cover you with my hand"
The Gospel is that God has a much better revelation of himself than words written on stones, he has written his law of love on our hearts. He has a much greater revelation of his presence than pillars of cloud and hanging out in tents in the desert, he has breathed his own spirit into us making us his dwelling place. He has a much better revelation of Himself that hiding in a rock in the desert, He has hidden us in the Rock and covered us and showed the hope of glory, Christ in us and we in him. God hasn't changed, he's still Exodus 34:6-7, and we haven't changed, we're still like Moses and his gang. But the good news is, God showed us again that the law written is stone had no power to rescue us. For that he needed to show a greater revelation of Himself by sending Jesus to lay down his life, nailing our iniquity to the cross and making the Law obsolete. It's glory has passed away and we've been given a new revelation, Jesus himself. We still can't live up to that old law etched in stones and we were never really meant to, instead God has showed us that we have found favor in His sight (because of Jesus) and we are in fact, pardoned from our iniquity and taken as his inheritance (because of Jesus).